Honda City is touted as the best-selling car in the C+ segment currently. Its aggressive front grille makes it look like a car from the future coupled with the dynamic styling termed the “ARROWSHOT” making this vehicle look like it is ready to release ‘ENERGON’ even when it is static! The Honda City’s 1.5L I-VTEC with EFI (Electronic Fuel Injection) engine comes with a 110hp, 146Nm of torque and CVT-7 transmission which alwasys keeps the engine at its peak optimal powerband. Tagged as one of the most economically friendly and green automobile of its class, this sedan boasts satisfactory performance with very little impact on your wallet. What can you say when a car gives you a mixed consumption of 6.5L/100km? Furthermore, this is the I-DSI version which offers even more superior fuel economy. 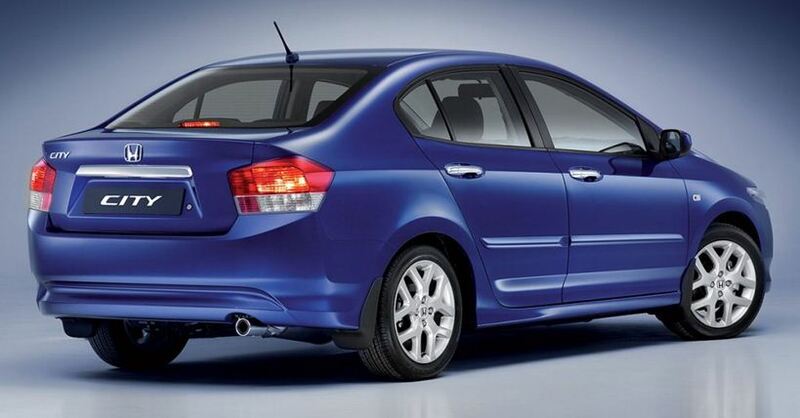 The Honda City holds up its name as a popular budget and ‘boxier’ version in comparison to its older brother, the ‘Civic’. The cabin has futuristic looking instrument panels and upholstery, signature to all Hondas. It gives you an impression of style, feels spacious and has generous leg space. The Honda City is packed with advanced integrated audio system that is compatible with iPods, MP3 players, USB memory and mobile phones. This car is equipped with the latest safety features as well such as a new brakemaster cylinder where Honda claims it allows much better brake booster performance alongside the ABS (anti-lock brake system) and EBD (Electronic Brakeforce Distribution). Perfect sedan for a family small family holiday touring! What are you waiting for? Hurry and make a booking before it is gone or contact us now!